Will finger counting ever go away? Not if we don’t do something about it! Rewarding students with the Wall Chart from the start! How to avoid the summer slump! Summer school? Use Rocket Math! 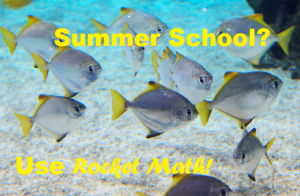 Three ways to use Rocket Math for summer school. Preparing now can insure that students will maintain their Rocket Math learning over the summer! 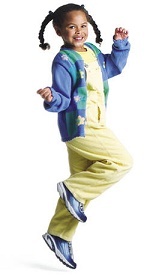 What best honors & motivates student achievement? 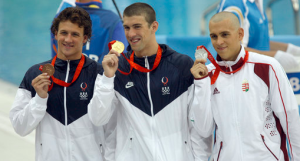 Recognition for real, tangible accomplishments that not everyone gets! Easily know when you’ve found ALL the factors! 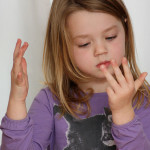 Can all second graders finish subtraction? 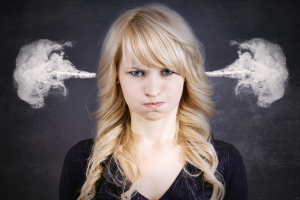 How can you fill testing-created gaps in your daily schedule? Rocket Math fills those gaps perfectly! 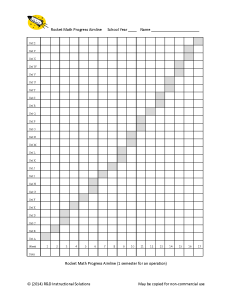 Why would Rocket Math be frustrating your students? 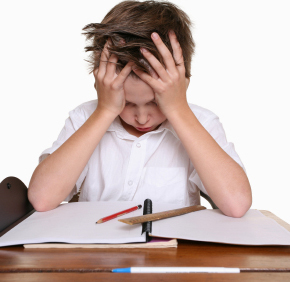 If students (and parents) are really frustrated, Rocket Math is not being done the right way. Should you boost success along with motivation? Cool rewards, such as making a human Rocket ship on the playground (left), only work if students expect to succeed. 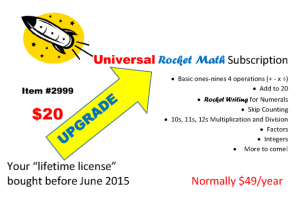 Upgrade lifetime licenses to Universal subscriptions! 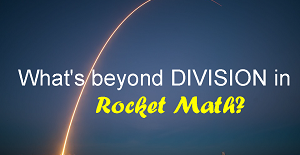 Because loyal Rocket Math users deserve it. 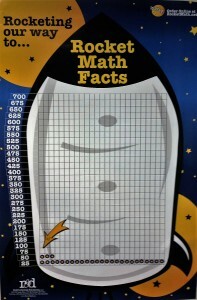 If you are seeing this in your school, you need Rocket Math. 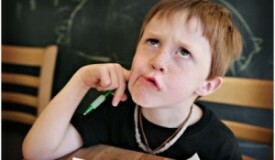 What does CCSS mean by "know from memory?" “Knowing from memory” means not having to stop and think about it. 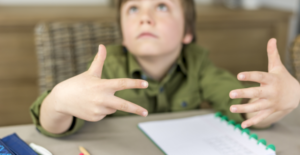 Why are basic facts important to memorize? Because not knowing them is so frustrating. 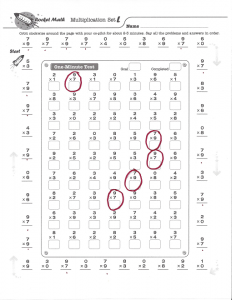 How do students correct in Skip Counting? Saying the whole sequence (for example, 4, 8, 12, 16, 20, 24, 30, 36, 40) is important. Can you teach the value of hard work? 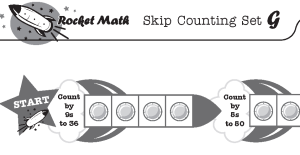 The benefits of Rocket Math extend beyond learning math facts. How can you improve writing speed? 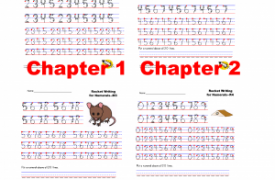 You can use Rocket Writing for Numerals, part of the Universal subscription. Read what this program helps you do. Do students have to read the facts in a certain order? It is actually more important than you might think, that students practice by reading facts in a consistent way. 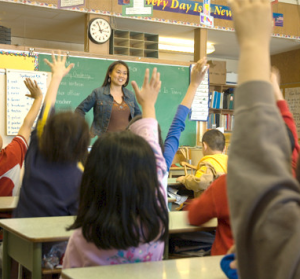 How can you get first graders to practice in pairs? How can you choose the best Ed Apps for your students? 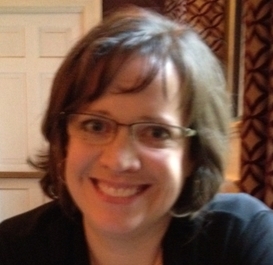 Click here to read an interview with Karen Mahon, Ed.D. CEO and founder of Balefire Labs, scientifically rigorous Ed app reviewers. 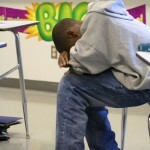 Does research show that student achievement increases from timed daily drill? No, but students can memorize math facts by practicing a limited set of problems with a partner who corrects all errors and hesitations. 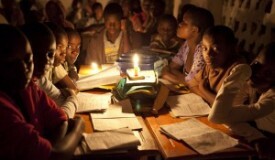 Trying to teach reading by the light of a shared candle. How can a teacher run a math fact fluency program with access to only a couple of computers? 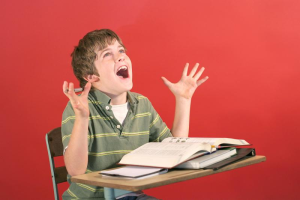 Struggling sixth graders--what to use? 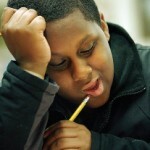 Struggling sixth graders usually need help with multiplication times tables, but which ones? 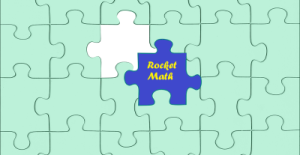 Re-set or re-install Rocket Math app over the break! You can do this if you WARN students ahead of time! What happens if we don't practice daily? 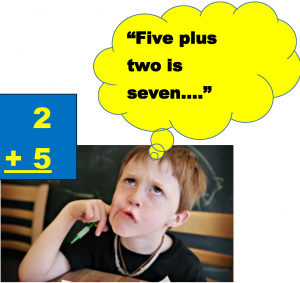 Irregular practice of math facts can cause a lot of frustration for students! You expect no errors, really? 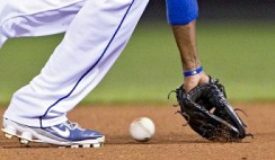 Even great ball players sometimes make an error. Aren’t there times when it is OK if students make an error or two on the Daily One Minute Timing? Shouldn’t we let them slide? Does your motivation hurt more than it helps? Public displays of progress (or lack of it) risk humiliating some students. What's the point of grading? Especially Rocket Math! 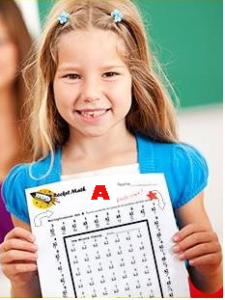 Getting an “A” grade motivates students to do more of that subject. Teachers ask me how they should grade Rocket Math. Here’s the problem. 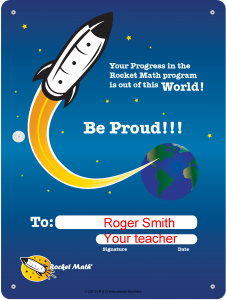 Who is responsible for the success of students doing Rocket Math? The teacher is. The students–not so much! Read the rest of the answer, including one idea for grading Rocket Math fairly! Don't cause confusion: teach one operation at a time. Subscription site printing improved dramatically! Some software changes were done this week that improve the print outs from our subscription site dramatically! Google Chrome and Internet Explorer and Microsoft Edge print out much better than before and now show the original look of the fonts perfectly. Firefox is the only browser that does not get the fonts right. Go figure! Dr. Don (and his staff) taking customer calls! Some of you may have wondered about the size of the Rocket Math staff. So I thought I’d include a picture of myself (and my whole staff ) taking customer calls on Tuesday. Replace finger counting, don't try to suppress it! 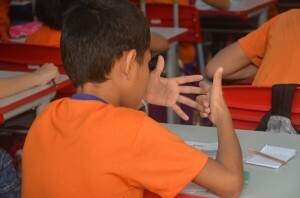 Don’t try to stop students from finger counting. By helping them memorize the facts they will come to the point where the answer occurs to them before they finish counting on their fingers! 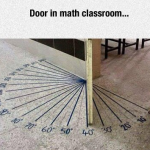 Great idea for the doorways of math classrooms! 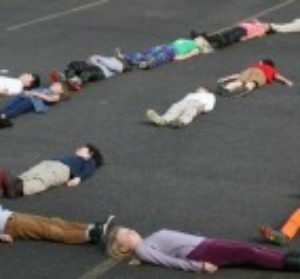 If your floor can handle it, what a great way to teach the degrees in angles! Use Mozilla Firefox to print! Turns out that the browser you choose controls the printing from our subscription site. 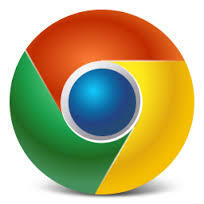 We have found that Mozilla Firefox currently works best. Other browsers can push pages onto two pages and cause other issues. We are working on ways to fix those issues. Quickly know who needs help! Above you can see the Progress Aimline for 1 semester to complete an operation. This is available in the basic subscription site, Forms and Information Drawer as an optional form. Or click here. We also have a Progress Aimline for finishing one operation during a school year. Also available free on the website here. You can see this teacher has started off the year with a bang! The goal arrow is up on the Wall Chart only three rows away. So students will be able to reach it and earn their reward! They have already filled in more than one row on the Wall Chart with star stickers that represent passing a level. The principal can come by, see how they are doing and encourage them to get to the goal arrow in time to win!! Take up where they left off before summer! Don’t think students have to start over in Rocket Math. They have learned the facts so well that with careful review they can take up where they left off! There is a way to start off the year on the same set on which students left off at the end of last school year (providing you know where that was). You do need to do a slightly different procedure at the start of the year, however.